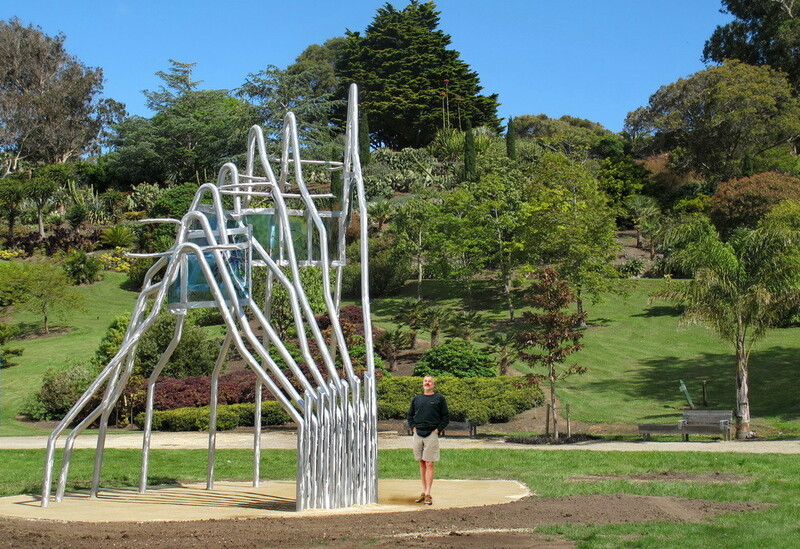 "villa rustica" was the agricultural estate of the ancient Romans which emphasized fruit and nut trees and a vegetable garden. 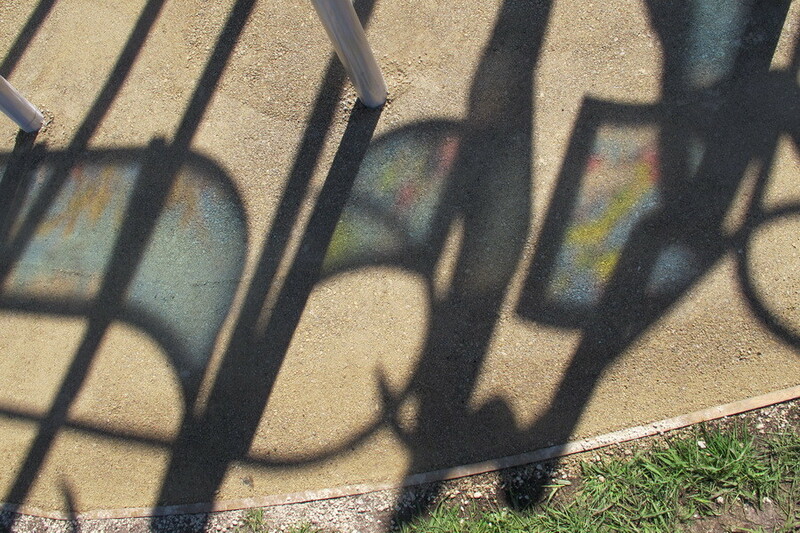 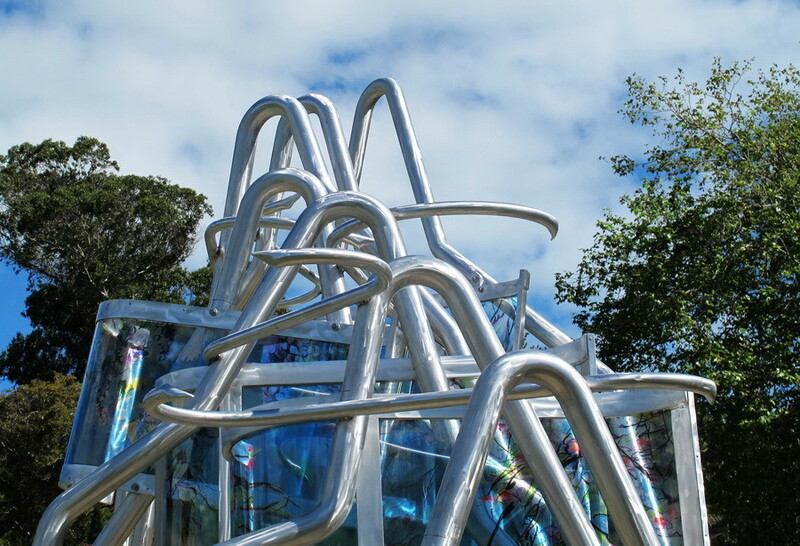 This work draws upon the specifics of its location - the botanic gardens of Whanganui, New Zealand. 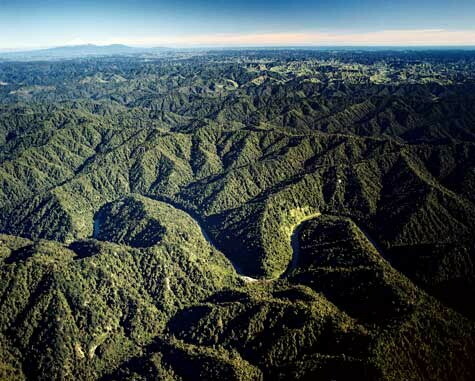 The razorback ranges of the Whanganui River region form the primary structure. 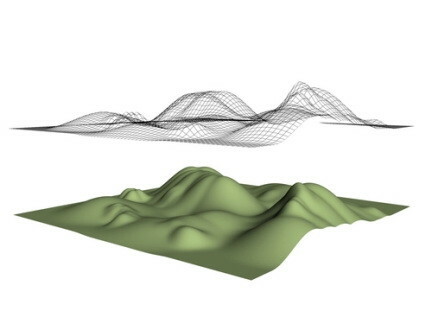 The linear representation of the steep hills reflect both historical topographical map-making and exploration as well as contemporary computer-generated wire-frame analysis of form. 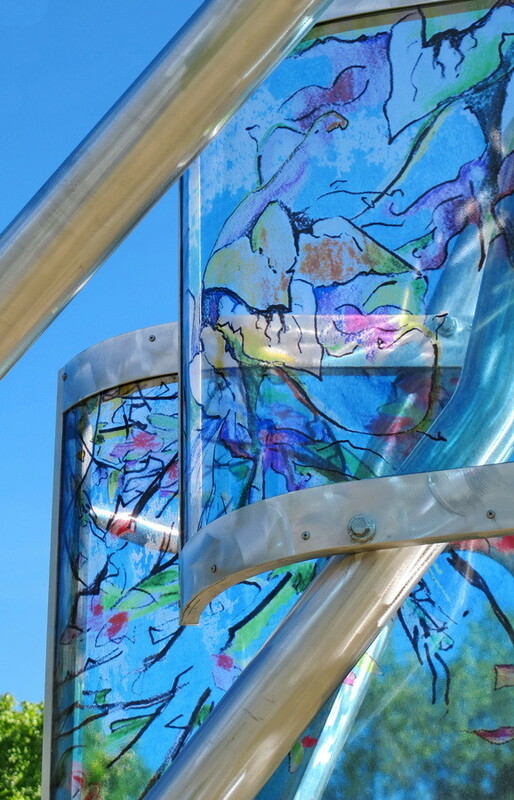 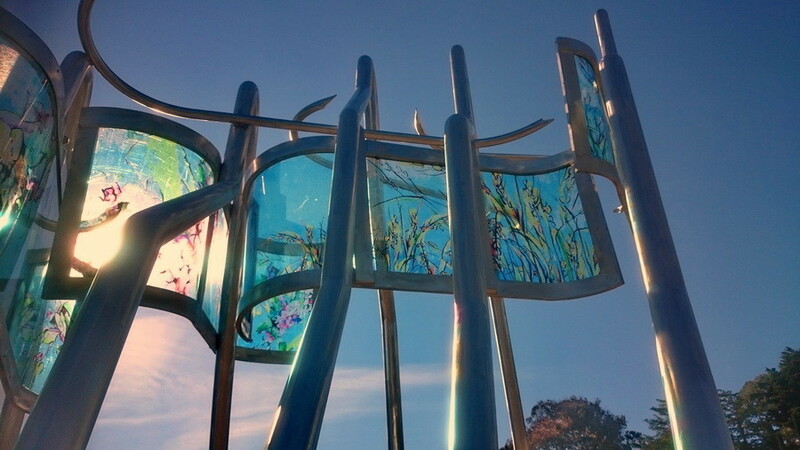 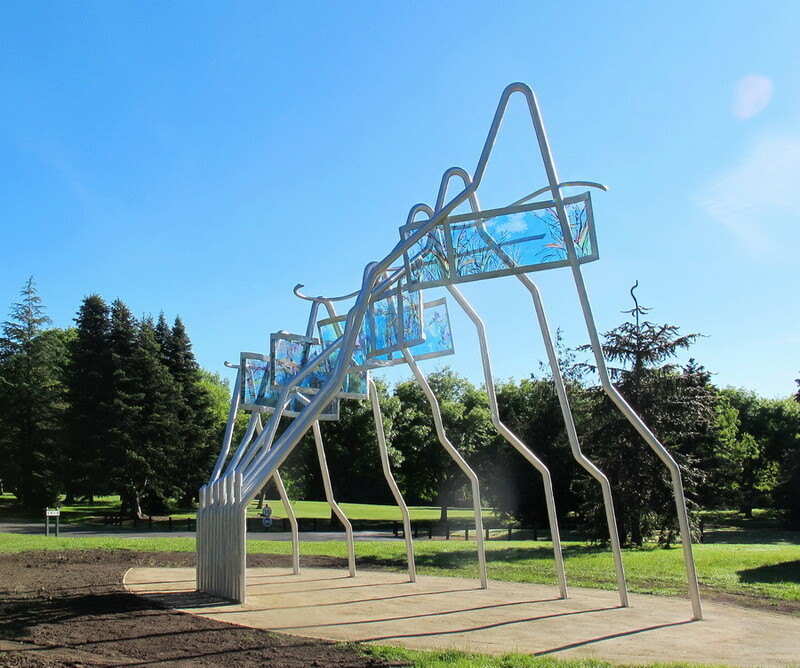 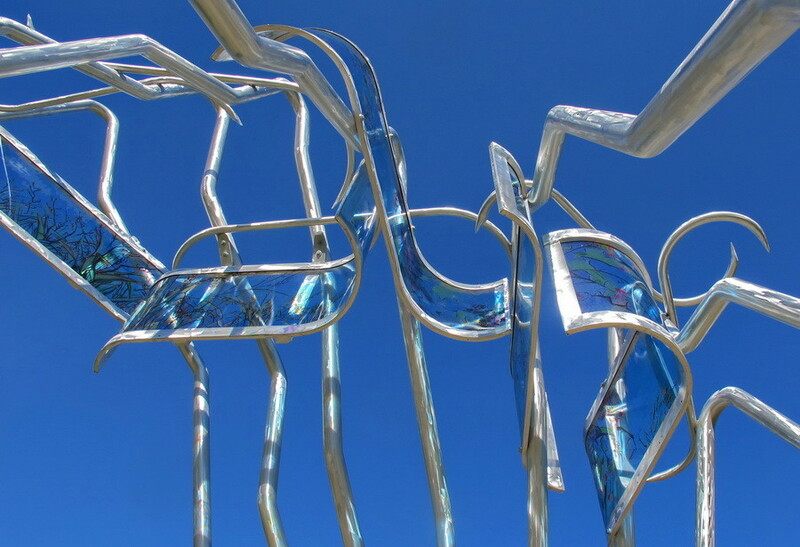 Against a backdrop of sky blue River, each panel addresses one plant of high botanic significance, from the native flax and kumera to the grapes, cherries and wheat that hold such a role in the history of the Whanganui River and region.